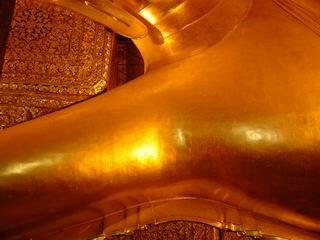 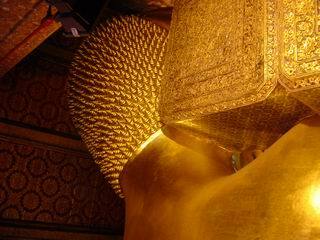 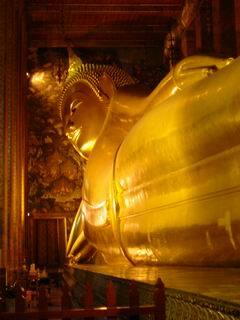 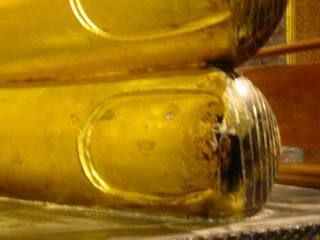 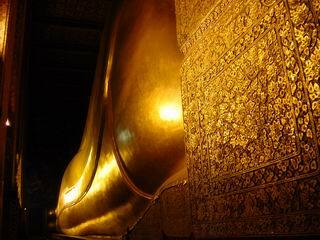 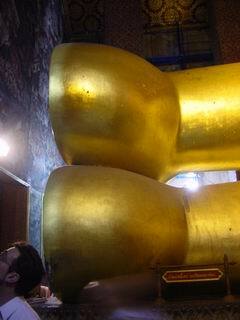 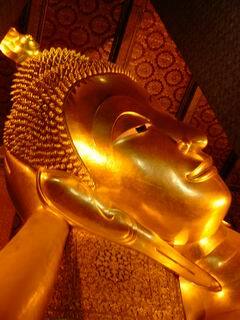 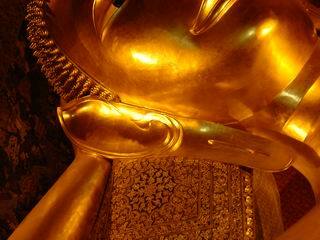 Reclining Buddha, Wat Pho, Bangkok. 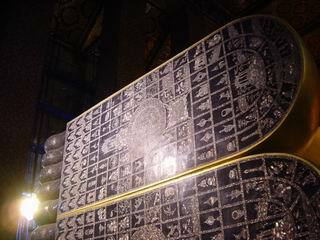 45 metres long, 15 metres high. 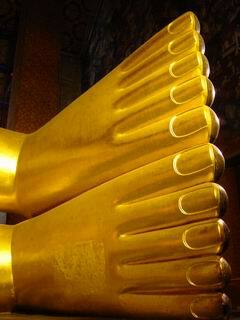 Wat Pho is the largest Buddhist temple in Bangkok, founded by King Rama I, first emperor of the Chakri-dynasty, reigning from 1782-1824. 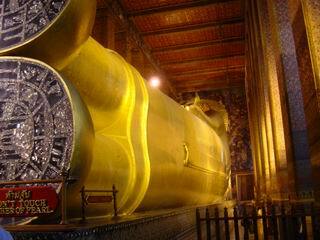 It was under his reign that Bangkok became capital of the kingdom of Siam.